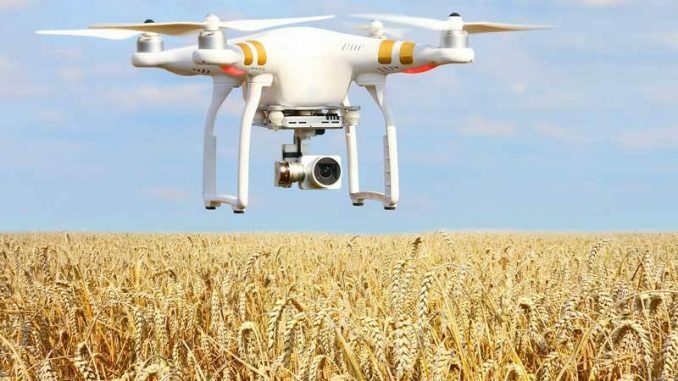 AgriTech in India has become a booming field with numerous startups working with technologies such as data analytics, machine learning and satellite imaging, among others, enabling farmers to maximise their output. According to a NASSCOM report, the Indian Government specifically supports AgriTech startups through its Startup India program. In 2016, more than 350 AgriTech startups raised $300 million in investment globally, out of which Indian investment accounted for 10 percent. A clutch of tech incubators in India are also supporting innovation in agriculture, especially in the rural areas. Case in point is Indigram Labs, a technology-driven business incubator that aims to incubate 100 AgriTech entrepreneurs over the next five years. SatSure: Founded in early 2016, SatSure has been at the forefront of bringing the best practices of satellite image processing, big data capabilities, and IT to agriculture. It also strives to create a positive impact on the lives of farmers by helping improve crop insurance, innovate on agri lending services, and improve market linkages by creating intervention and decision intelligence frameworks for agri value chain stakeholders. The startup has mobile app platforms for delivering information on supply statistics of crops and crop stressing in their region. This helps with the decisions on what to sow, when to irrigate or add fertilizers, or prepare for harvest. Currently, the startup’s solutions are being used by the Andhra Pradesh Government. Large banks and insurance companies in India are also leveraging SatSure’s solutions. NITI Aayog supported the startup through initiatives like the Grand Agriculture Challenge which further validates our belief the data mining and analysis is of high value to the agriculture sector. Fasal: Founded by Shailendra Tiwari and Ananda Verma, Fasal’s microclimate forecasts are tailored to each farm location and are performed at a point scale, not at a kilometer-wide spatial scale. Fasal founder explained that as the startup collects more data, the AI-based microclimate forecasting algorithm incorporates real in-field information and relates it to publicly available weather forecasts, so that farmers can benefit from real-time, actionable information relevant to day-to-day operations at the farm. Aibono: As India’s first smart farming collective, this startup turns around the fortunes of small farmers with the internet, AI, shared services. Pegged as Agri 4.0, the collective provides precision agriculture technologies backed by real-time synchronisation of supply and demand. Some of its solutions include real-time precision agriculture as a service to farmers. The company has about 60 employees and will be 100-strong by the end of the year 2018. Gobasco: This Gurgaon and Lucknow-based AgriTech startup leverages real-time data analytics on data-streams coming from multiple sources across the country and is backed by AI-optimised automated pipelines to improve and increase the efficiency of the agricultural supply chain. The startup’s data-driven online agri-marketplace gives the best prices for both the producers and buyers at their fingertips. Some of its solutions include transaction discovery, procurement optimisation and optimising transportation with real-time data. Last year, the startup raised an undisclosed amount in seed funding from Matrix Partners. Cropin: Bengaluru-based Cropin provides a full suite of farm management, monitoring and analytics solutions. Last year, the company invested $5 million toward AI by developing a new product called SmartRisk. SmartRisk is essentially a digital platform for microfinance, banking and non-banking institutions to identify and minimise the risk in lending and insurance business. As per a company statement, SmartRisk application will be positioned along with the flagship SmartFarm application, which currently assists over five million farmers toward farm management, crop cycle monitoring, harvest and brings in produce traceability from farm to fork. SmartFarm also provides holistic farm management, while SmartSales benefits agro-input companies and mWarehouse lays down the norms of food traceability to the last mile. Intello Labs: Positioned as India’s most awarded AgriTech startup, this Bengaluru-based startup has developed computer vision based solutions that use images as key data for deriving insights and actionable recommendations. The two key agri products from Intello Labs are used for crop inspection and agricultural product grading. Both the products read images and give quality parameters based on the input data. The startup leverages emergent technologies — deep learning, AI and IoT to help farmers scale their business effectively.